Payment Reminders are a great way to gently remind your customers that they have an outstanding balance. By scheduling payment reminders to automatically send out to your customers you are training them to think about their overdue balance with you on a regular basis. Statistics show this can significantly decrease the amount of overdue invoices and increase your daily cash flow, with very little effort on your part! When you have Payment Reminders enabled in Late Fee Manager we will email them directly to your customers for you. As long as you have a valid email address for your customer saved in your accounting software, you don't have to do a thing. 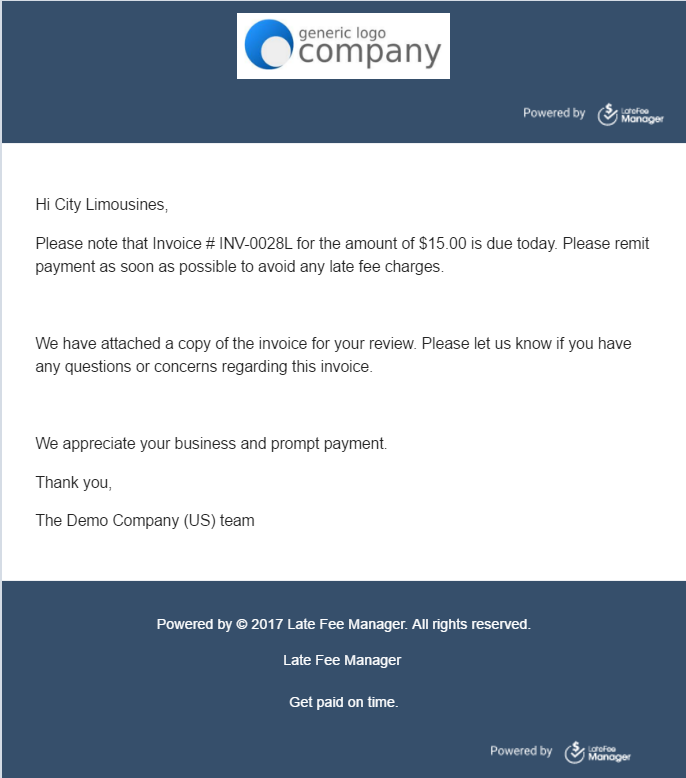 Also, we always include a copy of the original overdue invoice in payment reminder emails as a PDF attachment. We provide templates for the payment reminder emails, but those are also completely customizable. You know your customers better than we do, so you tell us how often to send out payment reminders. However, keep in mind how many emails you want your customers to regularly receive.